Did you know that you can reset your karma; in particular the negative karmic seeds you have planted? 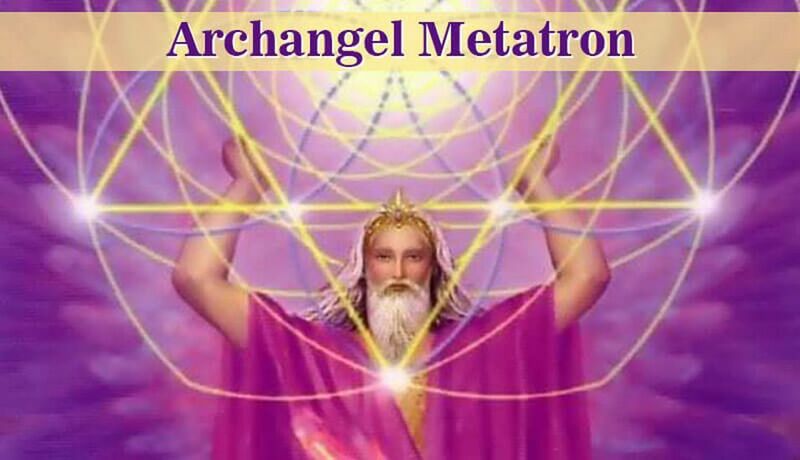 Archangel Metatron is the Archangel who guards the Book of Life, and is the Angel that records your every deed on the earthly plane. If you are looking for a clean slate, this simple ritual will help you to reset your negative karma with Archangel Metatron’s help. Archangel Metatron is known as the Angel of Life. He is responsible for guarding the Tree of Life, as well as for recording all of the deeds (good or bad) people do on Earth in the Book of Life, which is also known as the Akashic Records. Karma is the spiritual principle of cause and effect. The teaching says that when you do something good, something good comes to you in return. Similarly, if you do something harmful or ignorant, that comes back to you also. So, what do you do if you feel you have accrued ‘bad karma’ by doing less than good things in your life? Do you have to wait for the axe to fall? Fortunately not. But some people may worry about the negative karma they have created up to this point in their lives. And this can inhibit you from fully enjoying life. If this is the case, what can be done? Is it simply a waiting game? Archangel Metatron would love to help you to release and erase the burdens of negative karma, because the remorse, guilt, and shame that you are carrying lowers your vibration. The main function of the angels is to help you to raise your vibration, as this benefits everyone. And the more people on Earth who seek to be aligned in a high vibrational state, the better it is everyone on the planet. If you are looking to reset your karma, here is a simple, yet effective ritual that will help to transmute and clear the negative karmic residual you have built up to this point in time. Light the green pillar candle. On the piece of paper write down everything you can think of that you have either said or done in the past that has either harmed yourself or another person. Remove the ashes and carefully mix them with the bowl of rock salt. Place the tea light candle and put it on top of rock salt in the bowl. Light the tea light candle and allow it to burn until it is extinguished. When it burns down, discard the tea light candle base and the rock salt ash mix in the trash where it now belongs. You may either extinguish the green candle, or let it burn itself out. You can transmute your karma today. The angels want you to learn your spiritual lessons, which was the original idea of karma. But they also do not wish upon you the lingering and damaging energy of shame, guilt, embarrassment, fear and so on. This is not beneficial to anyone. Let yourself off the hook. Forgive yourself. You will make mistakes in life; that’s part of being human. And more importantly allow Archangel Metatron to reset your karma with peace and love. Blessings, Love, and Light . . .
Our pets bring so much joy into our lives. And if we pay attention to them, we realize that their true gift is showing us how to be more spiritual.